Sponsored by NASA and based at the Harvard Smithsonian Center for Astrophysics, the Universe Forum is a national center for teaching and learning about the scientific study of the Structure and Evolution of the Universe. 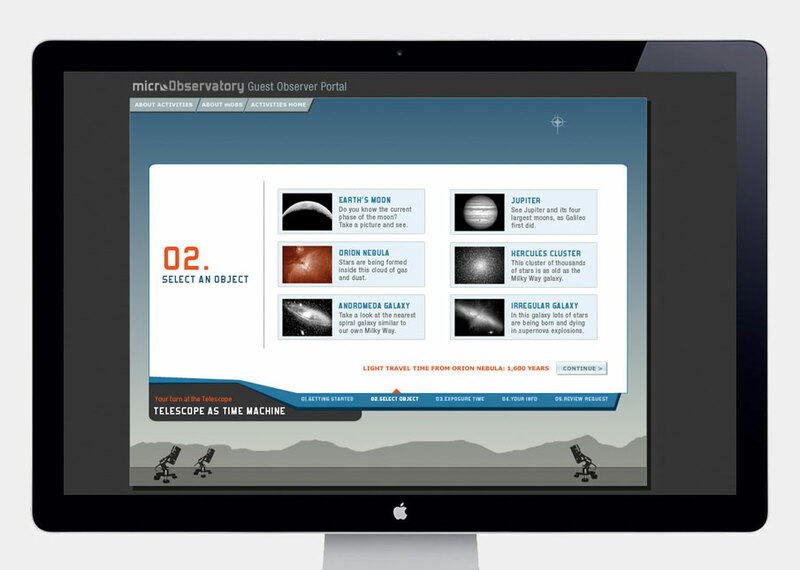 microObservatory is a network of small robotic telescopes, invented and maintained by the Harvard-Smithsonian Center for Astrophysics for educational use. They can be controlled by the public, over the internet. Site was live from 2004-2009. Sponsored by NASA and based at the Harvard Smithsonian Center for Astrophysics, the Universe Forum is a national center for teaching and learning about the scientific study of the Structure and Evolution of the Universe. 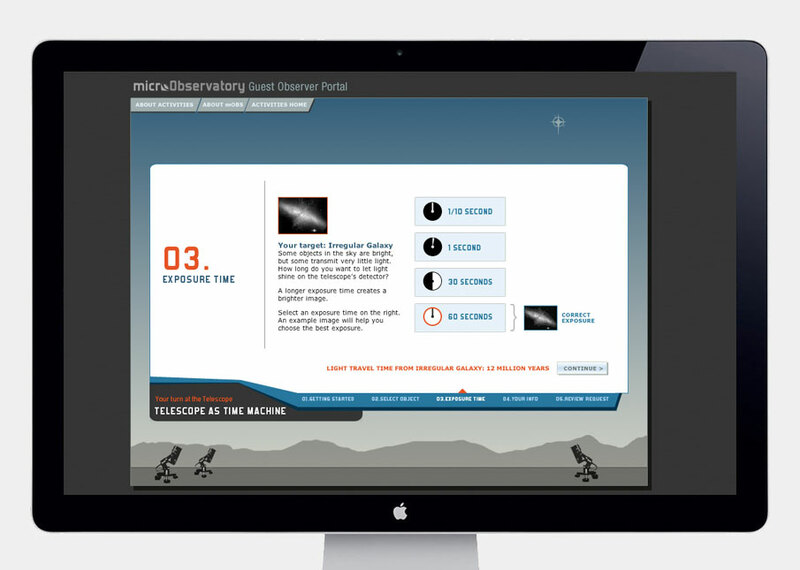 This activity brochure acts as a distance scale, giving the participant a hands-on sense of just how big the Universe is. It was distributed to classrooms nationwide. Direct mail piece developed to recruit partners and increase awareness for the Universe Forum's events planned to celebrate the 2005 Einstein Centennial. The style of this piece set the tone for all of the designed pieces related to the Inside Einstein's Universe events. The resource-rich website acted as an events calendar and resource guide for partners of the Universe Forum, as well as a general educational site for the public. Site was live from 2005-2006.